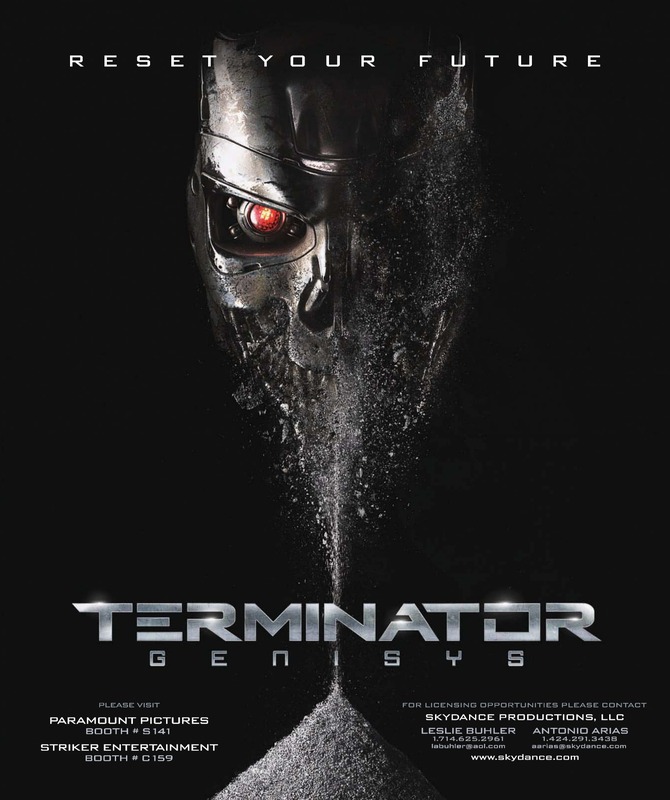 First is Terminator Genisys, the upcoming film in the long-running Terminator franchise starring Emilia Clarke, Arnold Schwarzenegger, Jai Courtney, and Jason Clarke. Genisys opens on June 30. 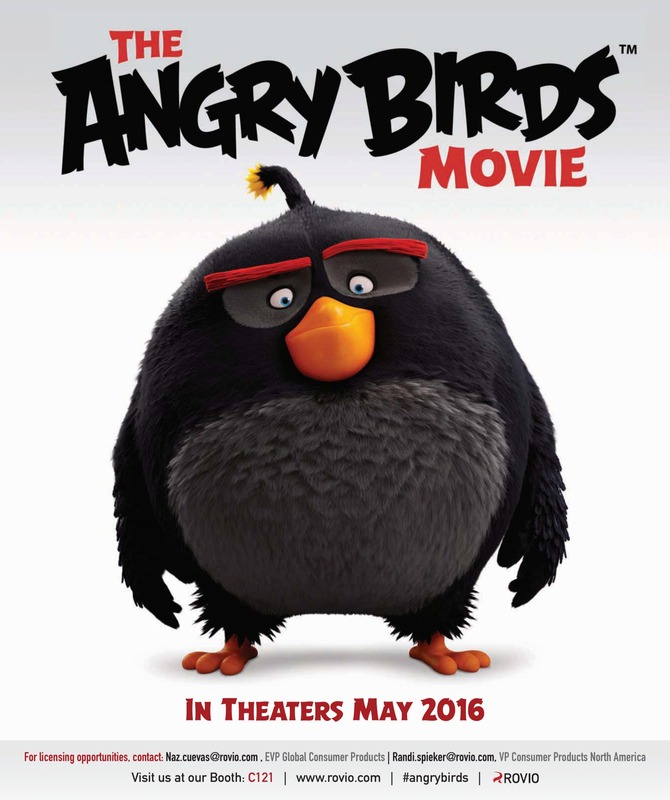 The Angry Birds Movie image features the black bird looking quizzically at the camera. Angry Birds: The Movie opens in May 2016 and stars Josh Gad, Peter Dinklage, Keegan-Michael Key, and Maya Rudolph. 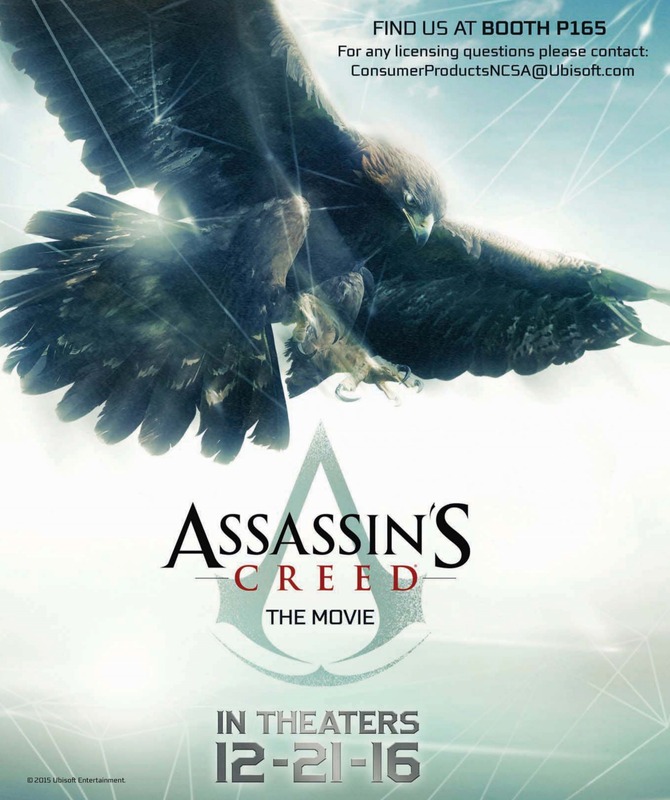 Assassin’s Creed: The Movie plays with eagle vision by putting one of the massive predatory birds on a background not unlike that of the animus in the video games of the same name. 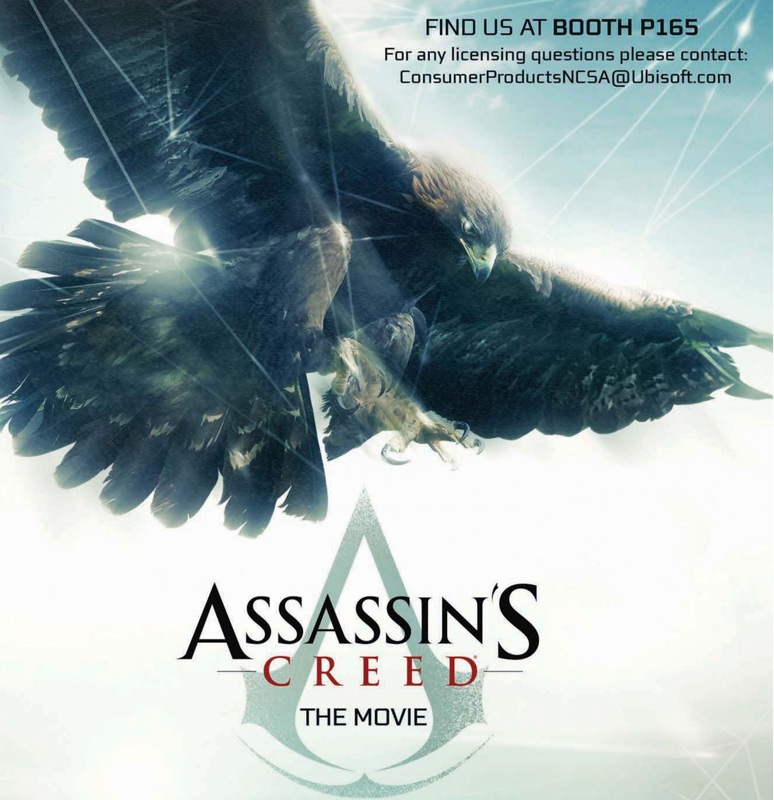 Starring Michael Fassbender and Marion Cotillard, Assassin’s Creed: The Movie will debut in theaters on December 21, 2016. 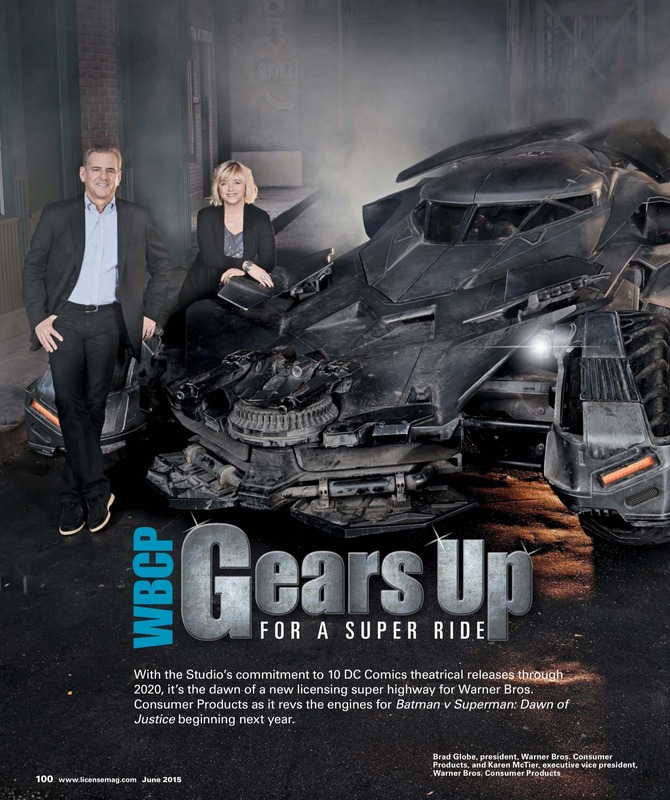 Finally, Warner Bros. Consumer Products President and Vice President Brad Globe and Karen McTier pose next to a Batmobile that has definitely seen better days. The image is meant to celebrate DC Comics’ and Warner Bros.’ ten-movie plan laid out between now and 2020. The first of these ten movies is Batman v Superman: Dawn of Justice, which will open on March 26, 2016.